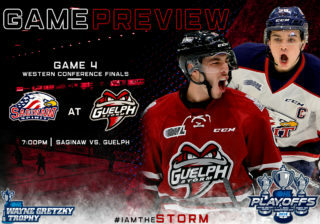 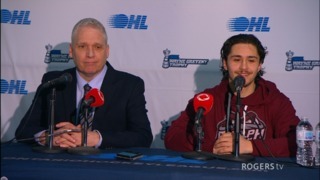 The Guelph Storm took an 8-1 final over the Kingston Frontenacs on Saturday night, closing out the Eastern swing with three out of a possible four points following an overtime loss in Ottawa on Friday. 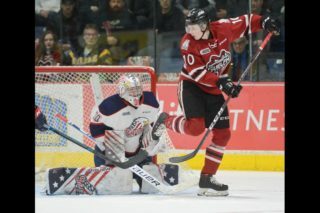 Of the eight goals, Liam Hawel scored three of them, recording his first career OHL hat trick for first star honours, while rookies Ty Collins (three assists) and Zack Terry (first career OHL goal) were the game’s second and third star respectively. 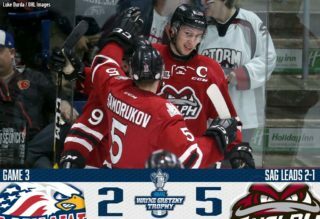 Cam Hillis, Dom Commisso, Markus Phillips, and Cedric Ralph also scored for Guelph, with Nico Daws stopping 12 out of 13 shots in the win. 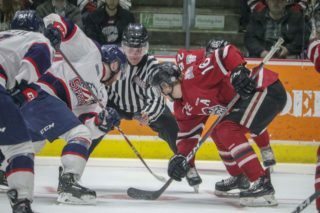 Dawson Baker broke the shutout bid, scoring Kingston’s lone goal. 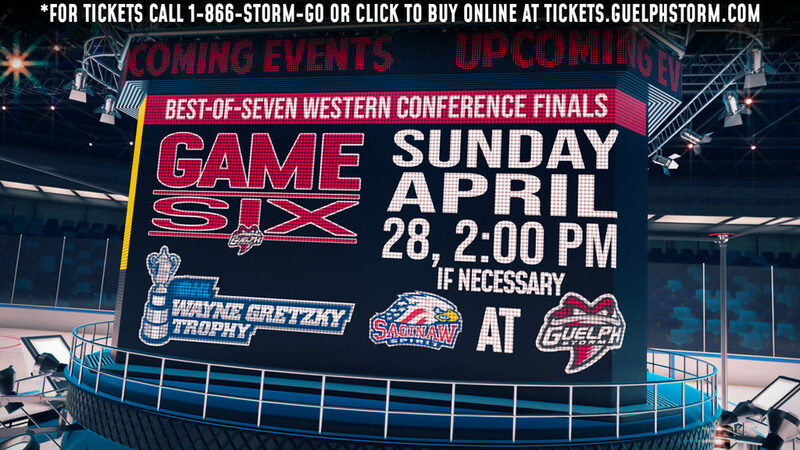 The Storm return to action at the Sleeman Centre Friday, February 8th, hosting the Sarnia Sting.